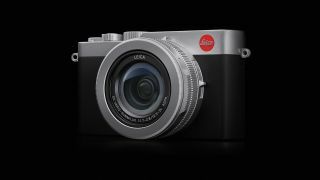 Luxury camera manufacturer Leica is at it again, this time announcing the Leica D-Lux 7 - a camera that actually tips the balance in favor of affordability. The Leica D-Lux 7 is a beautiful-looking camera. But one that may be familiar to some. Leica has added its design credentials and famous Red Dot to what appears to be the Panasonic LX100 II, Panasonic's classic 'street' camera that got an upgrade earlier this year. Specs wise, the two cameras are similar. There's the 17MP Four Thirds Sensor, a 24-75mm f/1.7-2.8 Leica lens, offering 3x optical zoom, and an electronic viewfinder with 270k-dot resolution. The Leica D-Lux 7 can shoot 4K, has 11fps continuous mode shooting and there's also Wi-Fi and Bluetooth on board. Leica's latest Fotos app is supported (a first for the D-Lux range) so it is also compatible with Android and iOS devices. There's no grip like on the Panasonic LX100 and the touchscreen is fixed, but OIS is present and correct and the price is, well, attainable. Yes, it's still a premium price (and a few hundred more than the Panasonic LX100 II). But this is Leica land and that means pricing to match.